14. Can I Get A Moment? Jessica Mauboy stated in interviews this album was gonna be more 'Been Waiting' than 'Get Em Girls'. She was right. Only 1 song has a featured artist, and its much more an urban pop album than the dance pop of Get Em Girls.<br><br>There is only one track on the album I feel is let down, and thats I'll Be There. <br><br>Beautiful, Kiss Me Hello, Honest and Barriers all have single potential, and i'm quite surprised that Kick Up Your Heels is track #13.<br><br>Overall, its a step back into the territory of Been Waiting, and I think this era will be more successful than the last one. This one is a tough one for me, because although I love this album as a whole, it hasn't left the impression on me that both Been Waiting and Get 'Em Girls did at this point of its release. There are some unbelievable tracks, but some that kind of just miss the mark, where as with Get Em Girls there was only one (Not Me), and with Been Waiting there wasn't really a standout lowlight. Heartbreak Party and I Believe, though they aren't horrible like Not Me was, they still don't stand up with the rest of the album.<br><br>Now onto the good, its her best vocal album to date, and up there with Been Waiting as her best lyrical album to date. There are some tracks on this album that just blow you away with the talent that she possesses, like Barriers and Never Be The Same. And on this album every song has a great lyrical concept, where as Get Em Girls where she was writing about shoes and what not. 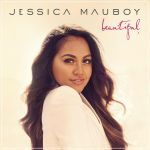 Songs like In Love Again, Honest, Kiss me Hello, and again Barriers and Never Be The Same show the Jess Mauboy we all know and the Jess that most of us love. For the people that loved Been Waiting and thought she would never be able to equal it or top it, have found the album to level it. Although it's not groundbreaking, its a maturing Jess, and I think this is the most important album of her career, because this album really shows us where shes at as an artist and that she's established herself in the music industry.<br><br>Barriers, Kick Up Your Heels and Never Be The Same Beautiful all have single potential. As long as Barriers is a single though it doesn't bother me. A pretty average effort in all, I thought she would have developed her sound a little bit more or pumped out some really decent ballads like she did with her previous albums but I didn't really love anything on here. That being said, there's nothing terribly bad, although the track with Pitbull comes close. So close to rounding down to a 3 but my final score was 3.53.